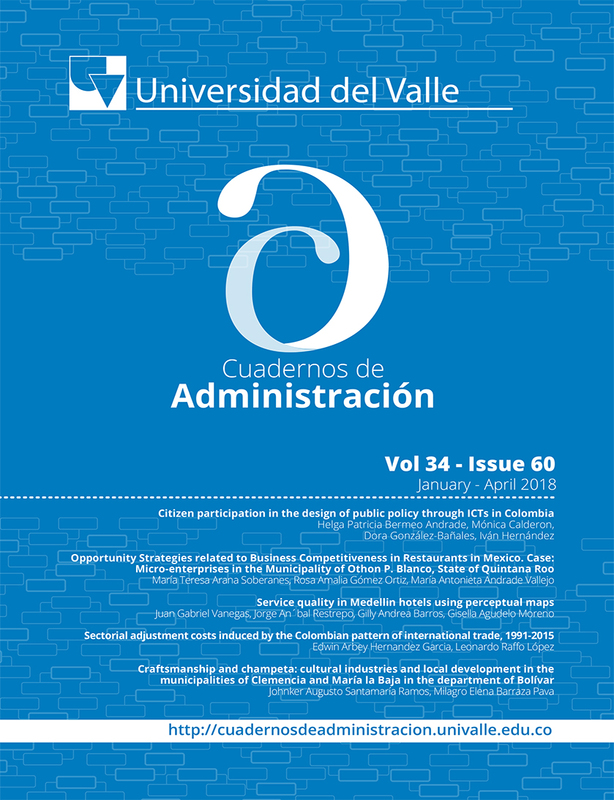 The purpose was to analyze the relationship between organizational management and business competitiveness of microenterprises of restaurant sector in the municipality of Othón Payo Blanco, Quintana Roo. This research method relied on analysis and deduction with a non-experimental quantitative approach. The survey scope was a correlational. The instrument was a Likert-type questionnaire with 20 nominal level items that was applied in restaurants with less than 10 employees. A sample size was 17 microenterprises. Among the results, it was found that microenterprises implement organizing and controlling functions. Their business competitiveness is oriented to technology and organizational culture. The main conclusion was that the opportunity strategy to generate competitiveness is strategic alliances, furthermore, the need of implementing a strategic-focused planning and leading.